An enormous ice dam formed at the source of the Niagara River on the eastern shore of Lake Erie on March 29, 1848. 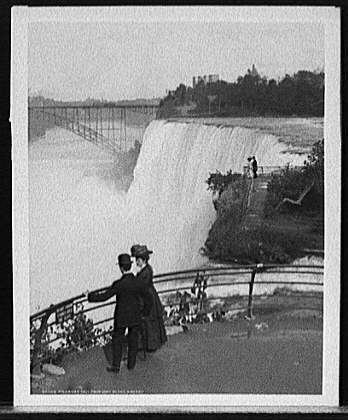 Just after midnight, the thunderous sound of water surging over the great falls at Niagara came to a halt as the flow of water became severely restricted due to the ice jam. The eerie silence persisted throughout the day and into the next evening until the waters of Lake Erie broke through the blockage and resumed their course down the river and over the falls.